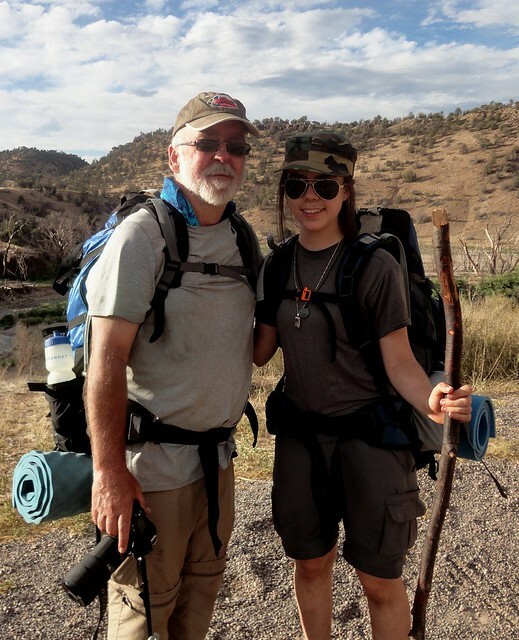 My daughter and I recently backpacked The Gila Wilderness in New Mexico. It was with a group of people, we actually didn't hike very far, but I can't get hiking and backpacking and camping and pooping in the woods out of my mind. Ever since we've gotten back, I've been reading about hiking, devouring info on lighter gear and the best way to purify water, counting how much money I'd have to save up to buy all the stuff I've been going gaga over, getting depressed because I'll never be able to save up that much, reading journals, blogs, tweets -- you name it. I've been hyper-focused on it and I don't know if I can control it. I just want to hike some more. Not just around the neighborhood you understand, but Arkansas, back to New Mexico, Colorado, Big Bend National Park, the PCT, CDT and the AT. Hey, why not across Canada? Or maybe throughout Europe? Not just a weekend of hiking, but a lifetime of hiking. Yes, I've been bitten by the bug, but good!